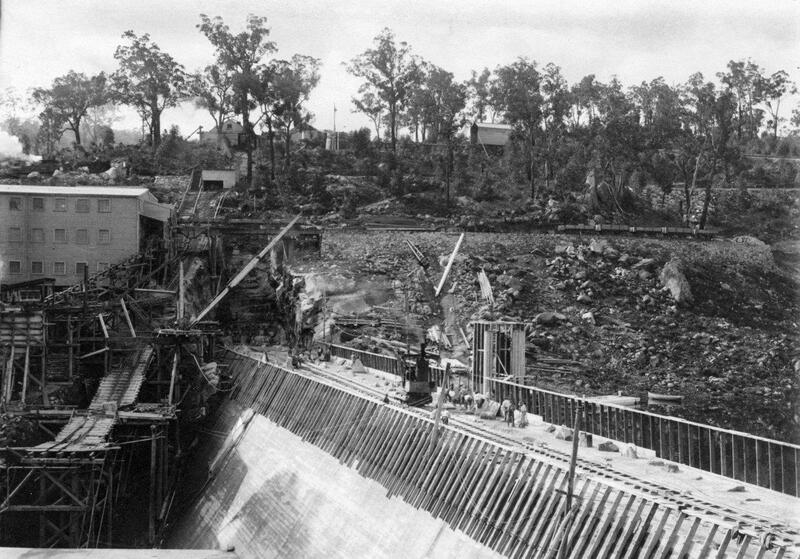 Mundaring Weir was constructed to dam the Helena River and provide the water for the Coolgardie Water Supply Scheme. 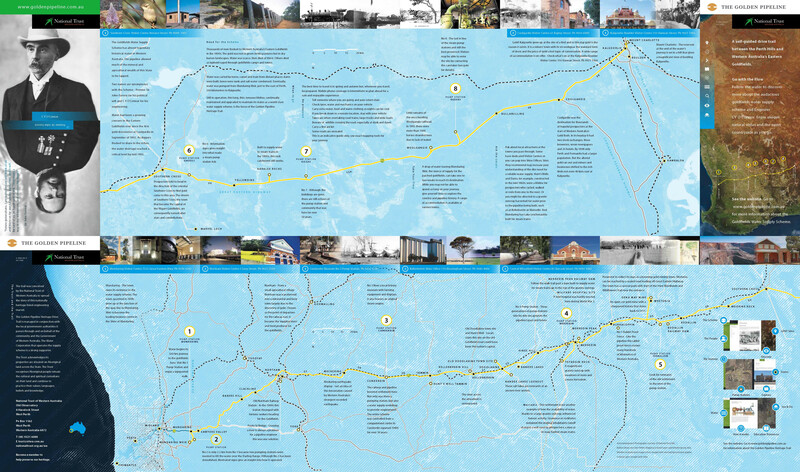 Today it remains the Goldfields’ primary source of drinking water and one of the bookends of the Golden Pipeline Heritage Trail. It is also a popular tourist site. Picnicking at the weir is popular with tourists and locals alike. Mundaring Weir, the storage reservoir for the goldfields water supply, is a concrete gravity dam. When completed in 1902 it was claimed to be the highest overflow dam in the world. A signposted walk around the area reveals much of its history. This can be combined with a walk to the site of No 2. Thomas Crowley Hodgson, responsible for detailed design and constructing the scheme under Engineer in Chief CY O’Connor, selected a narrow valley on the Helena River as an ideal site for the reservoir. He surveyed several possible sites in the hills outside Perth. One of his reasons for recommending this site was what appeared to be foundations of solid granite. There were no gaugings to determine inflow but he was confident the large hilly and rocky catchment would fill the reservoir every year. Thomas Hodgson wrote in his recommendation of the chosen reservoir site that A concrete dam might be made 100 ft. high, and its length on top would only be 650 ft. Unless it is closed for operational reasons, you can walk across the wall during the day. The profile of the weir-crest was “approximated to a parabola” so that surplus water would cling to the face of the wall during overflows. 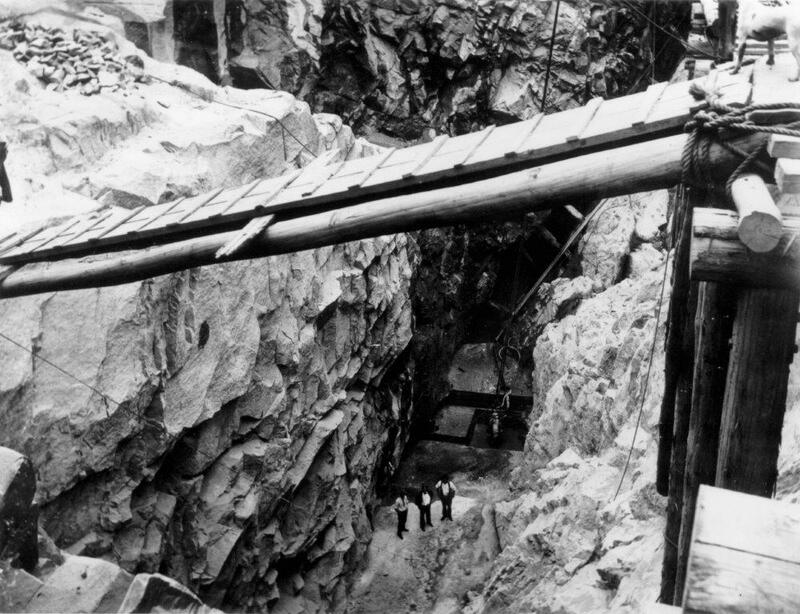 A channel, lined with stone, was excavated in the riverbed to carry the water clear of the dam. Battye Library. The slaking shed where cement for the wall was aerated. Work on the first two steam pumping stations and the pipeline near the weir was delayed in case the site had to be abandoned. What was thought to be bedrock, turned out to be an enormous boulder. Its removal revealed an extensive fault in the underlying granite. The rift was excavated to 90 ft below the riverbed where the material filling it was compact. After a year’s delay Engineer-in-Chief CY O’Connor gave the go ahead to start concreting. On such site visits he stayed at a hotel near the weir – you can do the same today. Battey Library. Blink and you'll miss them. Men excavating rocks. All material for the wall except stone had to be brought to the site. A spurline from the existing railway line 10 kilometres north was built for this purpose. Water for construction came from a temporary dam built in the bed of the future reservoir. A timber flume carried excess water across the weir site. A quarry on the upstream north bank provided aggregate for mixing with cement and large granite blocks or “plums” placed in the concrete. Signs on a walk trail around the dam alert you to sites of interest. The height of the dam wall was increased by 32 feet shortly after WW11. New concrete was placed alongside the old wall on the downstream face with slots to keep the new section free from the old. If the new concrete had been placed directly against the original wall a crack would have developed as the concrete cooled and shrank on setting. The slots were filled after the temperature of the two masses had equalised. An onsite display has photographs of the old and new walls and a description of the raising.